The new Chevrolet Spark is priced between Rs 3-4 lakh in India. Enjoy the Car or Photo gallery. It has evolved from the Daewoo Matiz. 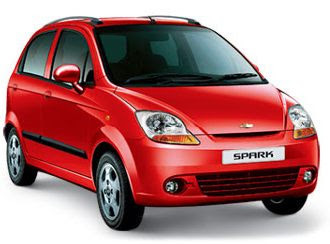 Basically now it is a General Motors product, and it has accuared twice-refined version of the Matiz and This Car is now in India as the Chevrolet Spark.You may consider to buy it. At one look, the Chevrolet Spark has a new engine, new design, and new price. And a new name and company to market it.